One of the great adventures in life for a foodie is their search of the best food, beverage, and restaurants. Some are looking for the best in health foods, others are seeking the best decadent desserts, while some are in search of the best recipes, menu ideas, and cooking tips. If you're a foodie looking for the best, LoveToKnow Food has gathered all of this and more for you. The best food and beverage is seldom the same for everyone. For some, the ideal choice is the one with the best nutritional value or the best brain food, for others, it's which chocolates or desserts are the best. There are also beverages for every taste and every time of day. Whether it's a quick morning cup of instant coffee, a lunchtime soft drink, a few beers during an evening with friends, or a gourmet after dinner coffee, you'll always want to be sure you're serving and drinking the best. Those who love food take great pleasure in dining out and are always in search of the best restaurants in any town they visit. LovetoKnow has compiled lists of the best restaurants to be found in Atlanta, Baltimore, Chicago, New Orleans, Denver, Portland, and Orange County, California. Whether you live in or are a stranger visiting one of these cities, you're sure to enjoy knowing the best places to dine. Foodies are usually good cooks and are always looking for new recipes. At LoveToKnow you'll find a wide variety of best recipes, everything from the best grilling recipes to the best recipes for meatloaf, lemon meringue pie, Christmas cookies, and even pickled eggs. There's also those who merely want the best tips, like how to grill the best shrimp or chicken, which foods to avoid, or the best methods of home food preservation. Whenever family or friends get together, there is always food and beverage involved. A great meal is an epicurean delight that can create enduring memories. 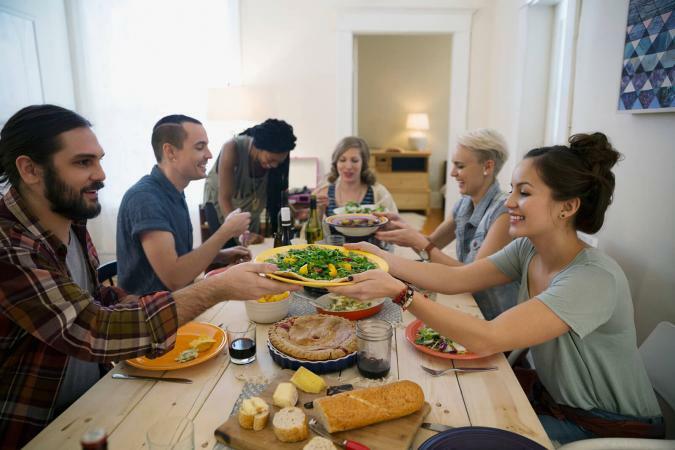 LoveToKnow Food is filled with articles about the best foods, beverages, restaurants, and recipes that can make any friends or family gathering one you'll always remember.